This generation spends most of the time on computers or mobiles or reading or watching television. It is very important to give some rest to eyes, take regular intervals else it is going to affect our eyesight. 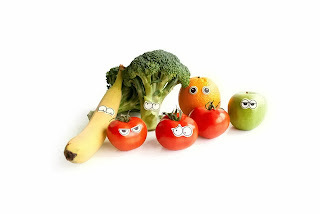 To keep our eyes healthy it is not only important to take care, exercise your eyes but also to eat healthy food. Today, I thought of writing about all the great foods that helps to maintain healthy eyesight and help in preventing age related eye diseases like vision loss, dry eyes, cataracts, macular degeneration and night vision problems. In general, healthy diet will improve the health of the eyes. In particular increase the intake of food items that are high in Vitamin C, Vitamin E, and Vitamin A, beta carotene, zinc, lutein, zeaxanthin, selenium, omega 3 fatty acid and fiber in your diet. Spinach: Spinach scores highest for the health of the eyes. Due to the presence of chemical called lutein, spinach has been proved to be beneficial for healthy eyes. Lutein forms the yellow substance at the central point of retina which helps in protecting macula from age related problems. Carrots: Carrots contains beta carotene nutrient which helps with night vision. Others food items that contain this nutrient includes sweet potatoes, apricots and cantaloupe. Avoid smoking, as beta carotene for smokers increase the risk of lung cancer risk. Kale: Kale contains lutein and zeaxanthin which prevents the risk of macular degeneration (AMD) and cataracts. Other foods with these antioxidants include spinach, eggs, peas, corns, turnip greens, romaine lettuce, broccoli, green lettuce, mangoes, red grapes, Brussels sprouts, etc. Fish: Fish such as tuna or salmon and lean meats contains omega 3 fatty acid which helps in maintaining better vision and prevents from dry eyes. Other food item that contains this nutrient includes walnuts, flaxseeds, soybeans, tofu, etc. Mango: It is a good source of Vitamin A which is important to prevent night blindness and dryness in eyes. Other sources of Vitamin A are cod liver oil, apricots, whole milk, paprika, dried basil, peas, tomatoes, papaya, etc. Almonds: Almonds contains Vitamin E that helps eyes from free-radical damage, prevents cataracts and age related macular degeneration. Other sources of Vitamin E are peanuts, wheat germ, sunflower seeds, hazelnuts, olive oil, etc. Oranges: Oranges and other citrus food – grapefruit, lemons, etc contains Vitamin C that supports blood vessels in the eye and reduces risk of cataracts. Other source of Vitamin C includes peaches, strawberries, tomatoes, red bell peppers, broccoli, etc. Most studies have shown those foods that are good for your heart and arteries are also good for eyes. Follow the healthy diet containing fruits, vegetables, nuts, beans, whole grains, fish, chicken and other lean meats. Go easy on salt and sweets. Have a colorful diet and have better eyesight. Do note, beside the healthy diet you also require good sleep, daily exercise and stress free environment to give you that radiant and brilliant shine in the eyes.